This is an admittedly flattering picture, it has surface rust on the bumpers and a cracked grill as well as numerous dents, but only a couple of spots of rust through, and none in the rear fender ells. All four hubcaps, drives well, no bad noises shakes or shimmys. Manual transmission, steering and windows, no A/C. It’s sole purpose in life is to run to Menard’s unladen and return laden. 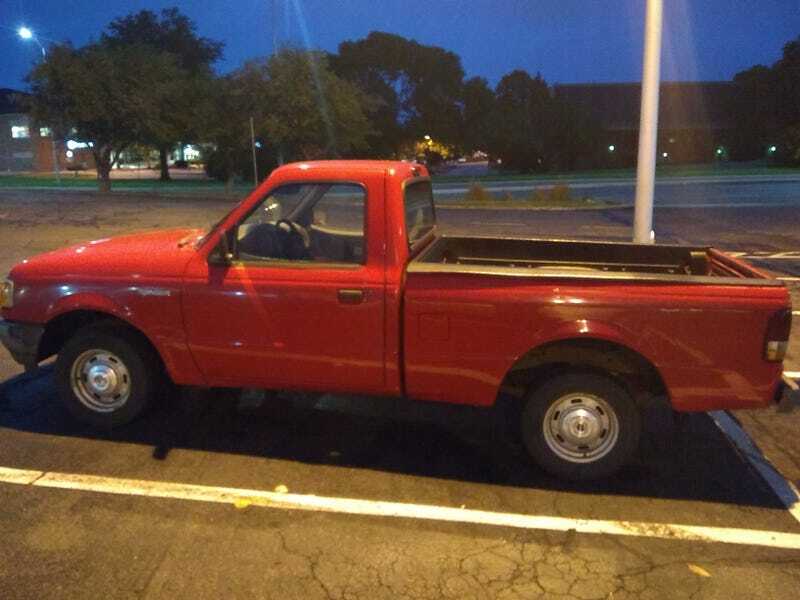 I have owned many cars, but this is my first truck.